Investors in South Korea and Japan, the two largest cryptocurrency trading nations, were sitting on the sidelines Tuesday waiting for the regulatory uncertainty to clear before placing further bets, said Greenspan. He believes the light trading volume caused bitcoin’s price to plunge. 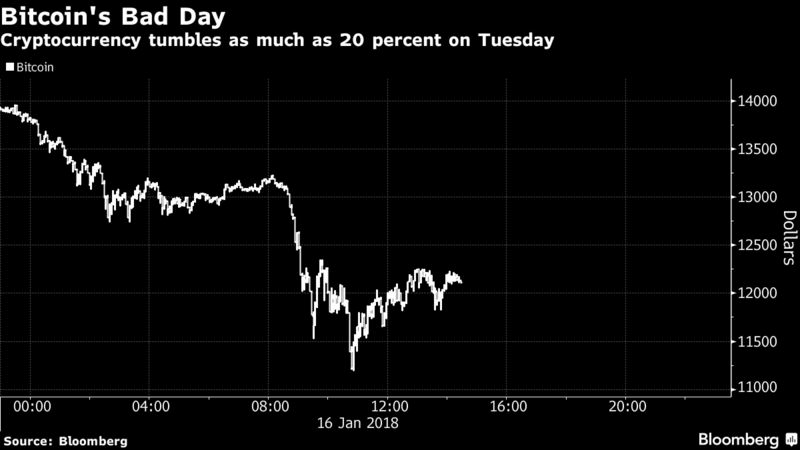 January’s cryptocurrency selloff got fresh impetus on Tuesday when Bitcoin slumped as much as 25 percent, as the prospect of regulatory crackdowns appeared to spread. Other popular cryptocurrencies ethereum and ripple also posted double-digit losses.It’s unclear why bitcoin fell. Cryptocurrency is a murky market with frequent swings. “Volatility is quite common in the cryptocurrency world,” said Mati Greenspan, a Tel Aviv-based analyst at investment firm eToro.